Here is the rest of my haul from this month's Portland card show. 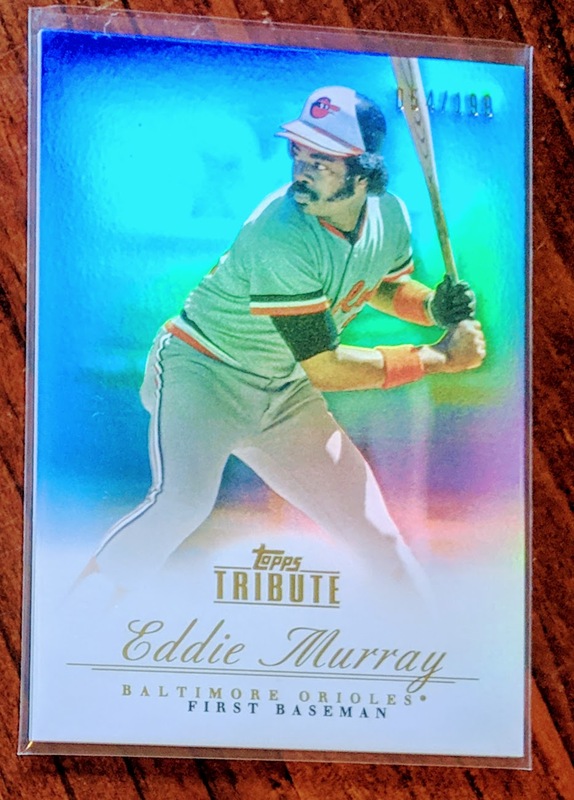 This Eddie Murray was 50 cents, though the majority of the cards in this post were from the same quarterboxes as the vintage I've shown in my past few posts. 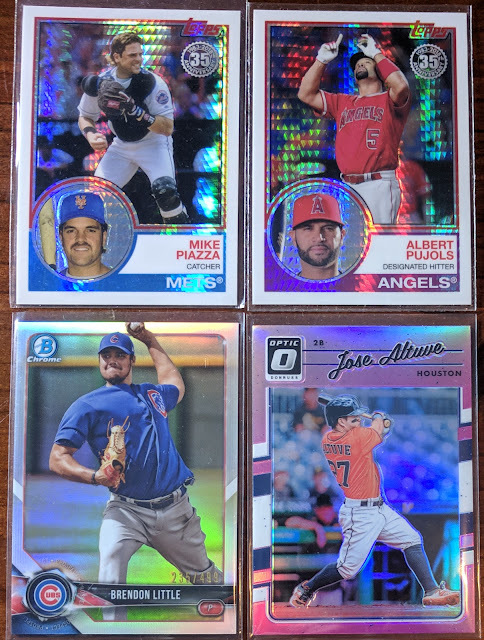 Some early Arenado cards. Pretty sure I already have them, but seemed like a sweet deal. Freddie Freeman is one of the few big stars of today I don't collect, but I couldn't pass up RCs and a numbered high-end parallel for a quarter each. 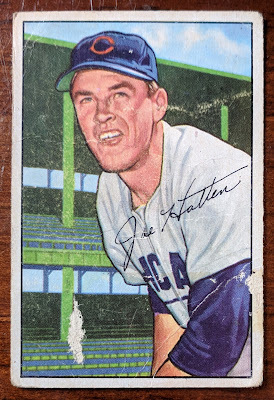 Some not-really vintage cards trying to look old. 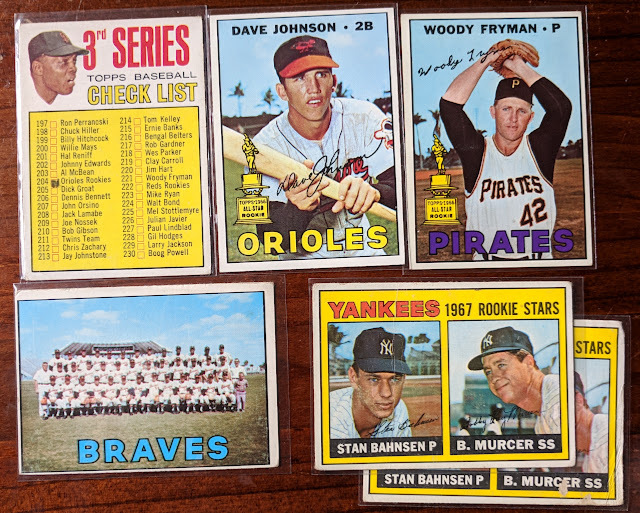 A couple 60s cards I could have grouped together with my vintage pickups, but since they're stamped buybacks, I don't really consider them true vintage anymore. 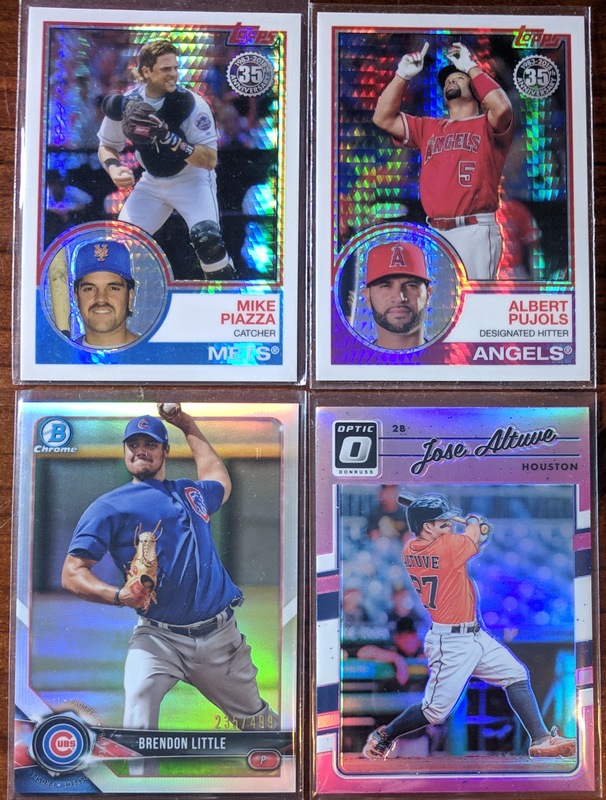 Grabbed those as trade fodder. 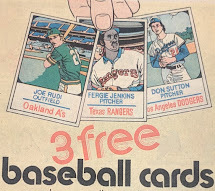 The Perez is from '83 Topps Traded. 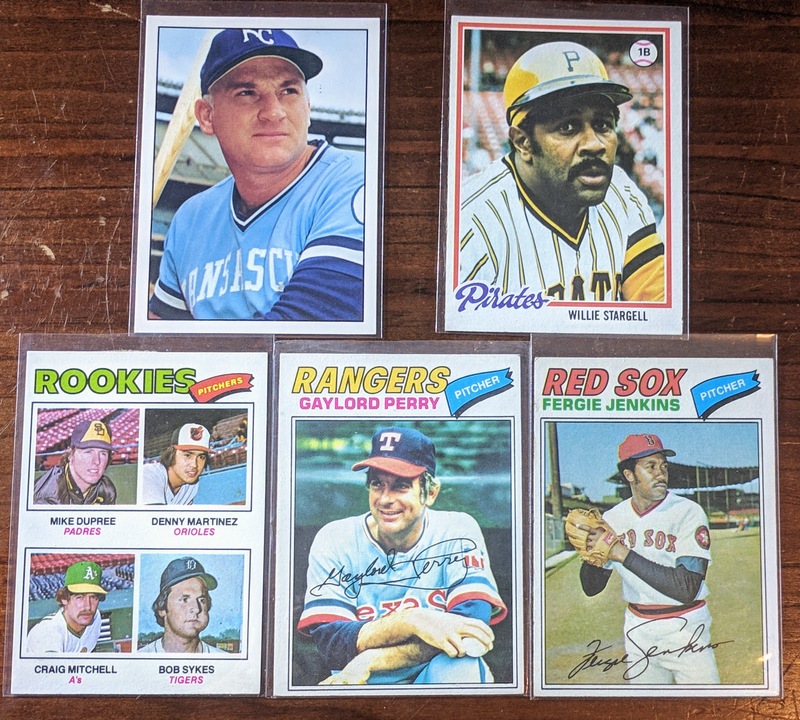 Oh, and one seller had a bunch of Mother's Cookies team sets circa 84-92, and I was excited thinking he might have the 1989 Giants set so I could finally get the lone card of Goose Gossage as a Giant that I've been after for a while, but sadly that was one of the few sets he didn't seem to have. A little bit of 90s. Turns out these Upper Deck PowerDeck cdrom cards play fine in standard CD drives, assuming there's a little recessed part for them to go in. I haven't taken the plunge of going after all of these 3000 Club inserts, but won't pass them up cheap. Brock and Molitor here. Parallels. Tim Anderson has been in the news a lot lately. I'm a snob when it comes to the Gold Label reboot of the past few years.. just looking for "Class 2" and "Class 3" cards. (Update: I had a dream last night that the rare cards were actually Class 7 and Class 8.. and I was like, "Oh man, I need to update my latest post! Class 2 and 3 aren't anything special." I guess in a way that's true, as it's really only the colored/numbered parallels that are desirable.) The foilboard makes me sad. I miss the original version on Chrome refractor stock. 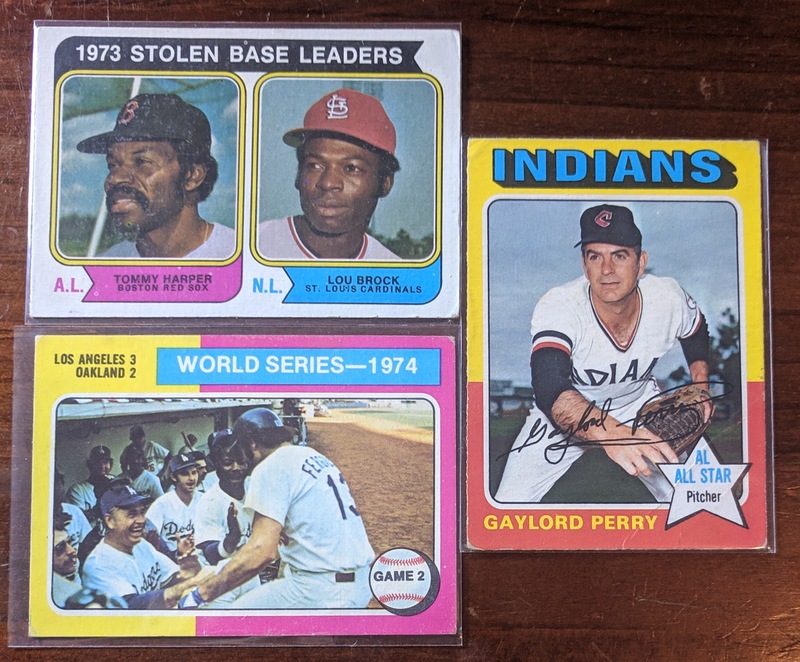 The recap from my vintage-heavy haul from this past weekend's card show continues into the 70s now. 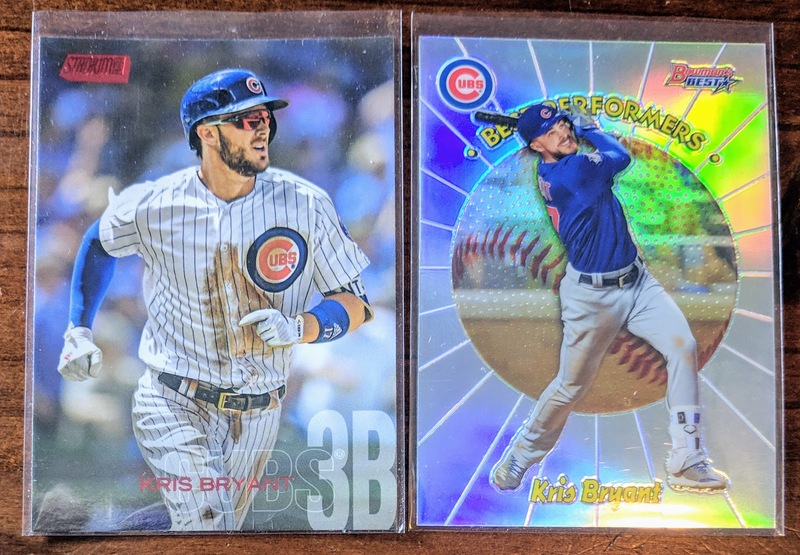 I'm not in a big hurry, but I'd like to eventually finish a run of Topps flagship spanning the entire decade, so there are plenty of cards for me to pick up. 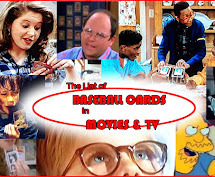 While 25¢ per card is a decent price, I am hoping to get most of the commons knocked out through trades rather than purchases, plus I didn't want to take the time away from digging to check my lists to see if I needed each card, so I pretty much stuck to cards that caught my eye, either with a well-known player or neat photo or whatever. 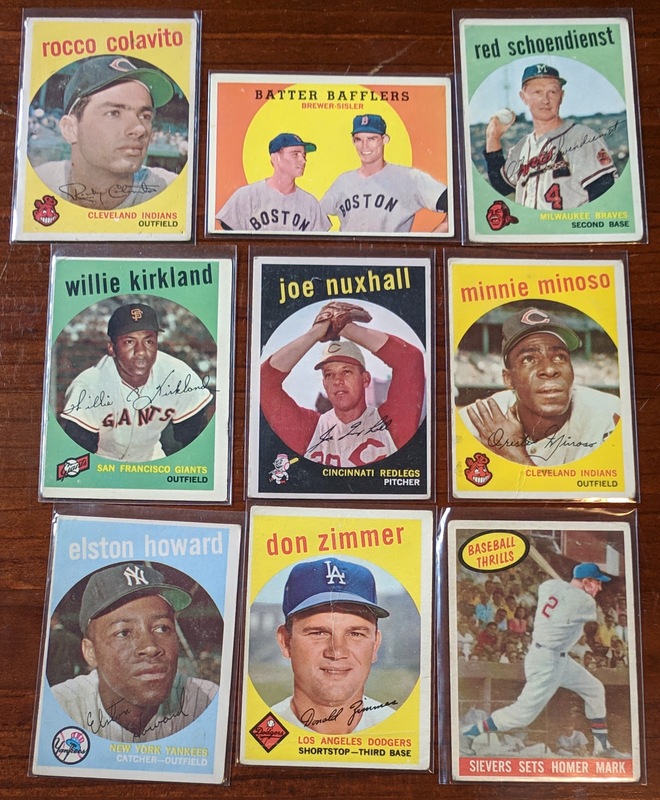 And some of these cards I've already got, but figured I'd build up my tradable vintage cache a little, not to mention possibly upgrade here and there. Took me a while to warm to 1970 Topps with its blah design, but with photos featuring bat racks, big all-star rookie trophies, and bat carts plus big all-star rookie trophies... you kinda gotta love it. 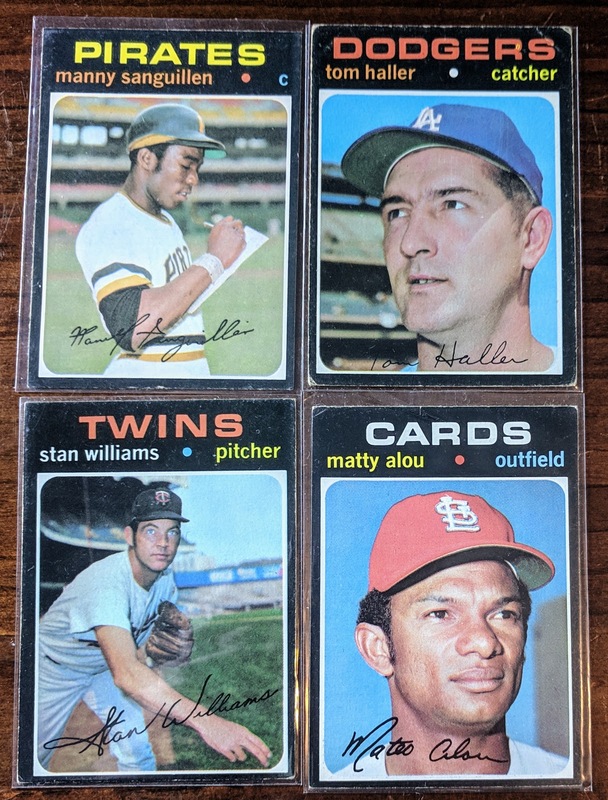 Another thing '70 Topps has going for it: Pilots! Here, you can see the contrast between their regular season uniforms (left) and the simpler spring training uniforms. Accidentally grabbed a couple Tiants. And I already have at least a couple copies of that Hoyt, but couldn't pass it up. Curt Flood famously never played for the Phillies, going to court over the trade and starting the fight for free agency in baseball. 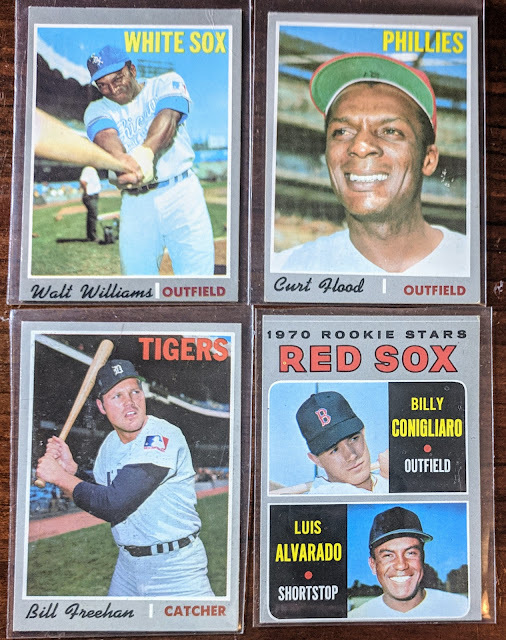 Rounding out 1970 with some HOFers. Would like to upgrade Red with a better centered copy someday. Bunning is in good shape. 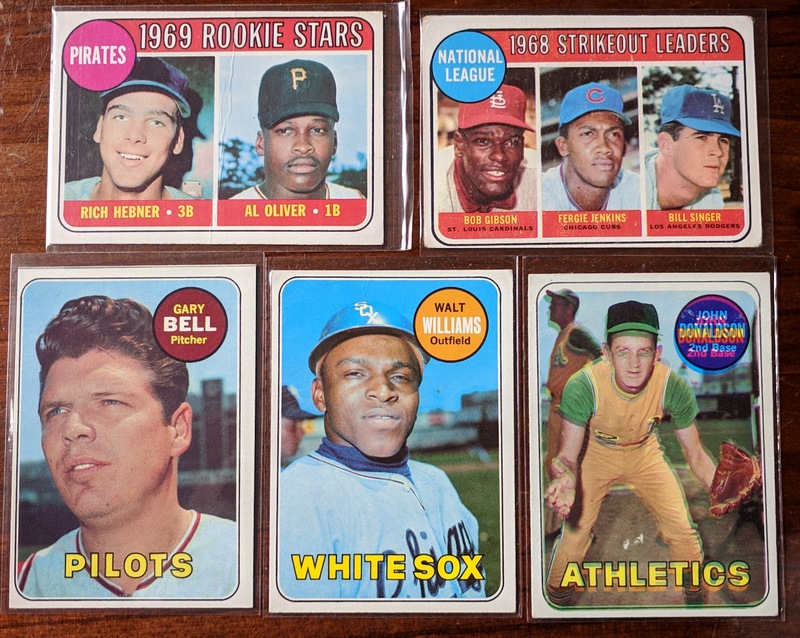 Santo has a crease in the upper right, but it's a high number that books for $10+ according to TCDB, so it was still a solid buy for a quarter. Moving onto 1971.. I've already finished this set, but I've got plenty of beaters in there I'd like to upgrade. I didn't refer to my list, just guessed. 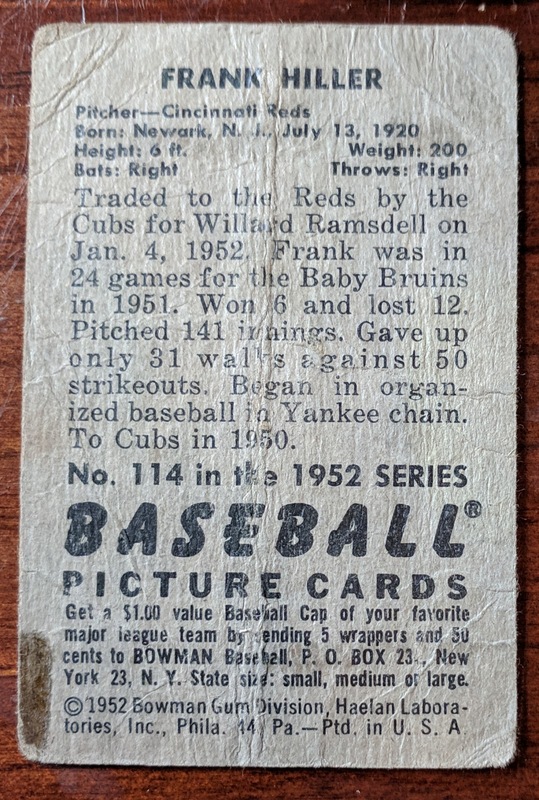 I guessed right with Willie Horton, as my old copy had rounded corners. I was already good with Jim Northrup, though. 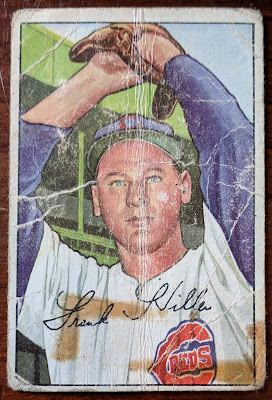 There are 3 variations of this card: no splotch on right, gray splotch on right, and (not shown here) black splotch on right. Some checklists might group both splotches together as one error, but there are definitely two distinct variations if you ask me. The splotch version goes for $7+ according to COMC. Both up for trade. Sanguillen is a nice looking card. Is he filling out the lineup card or signing an autograph? 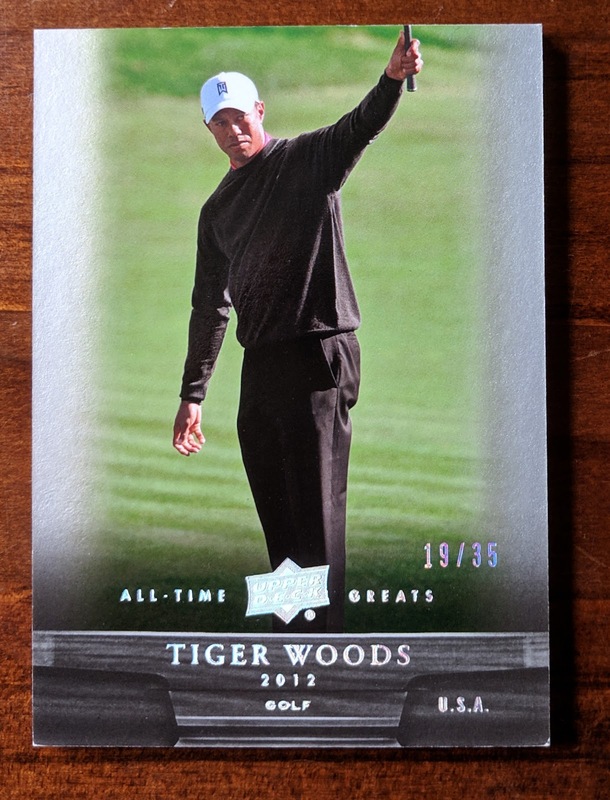 Maybe it's his contract extension with Topps.. that'd be funny to have as the picture on a card. Matty Alou is a high number. 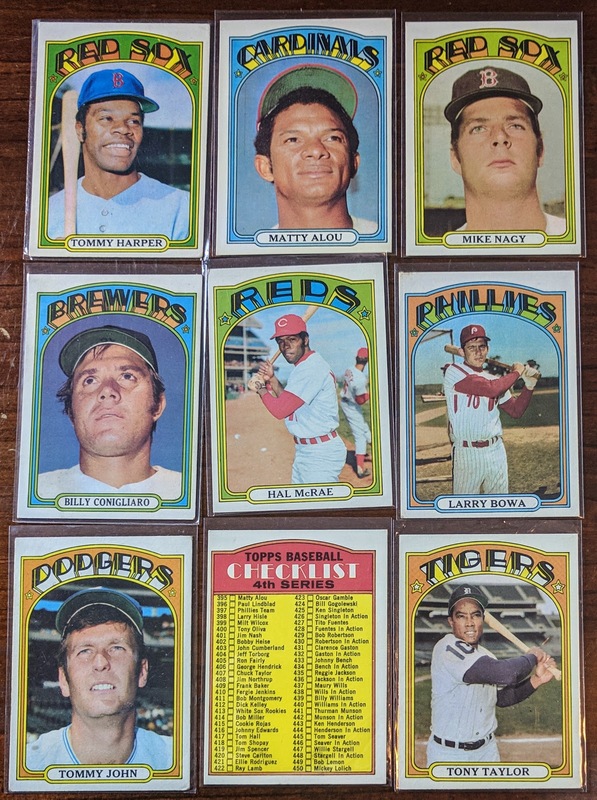 A few horizontal cards to close out 1971 Topps. 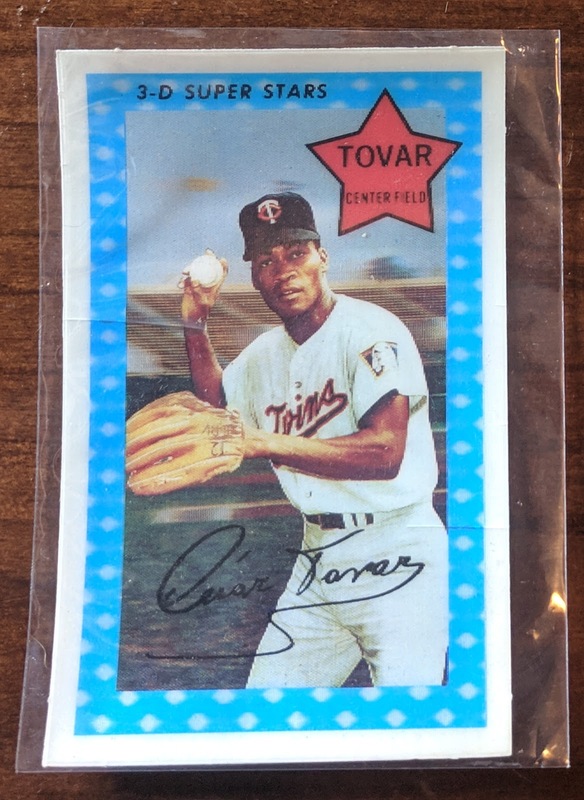 Found one Kellogg's card in the quarterbox: Cesar Tovar from 1971. Four Hall of Famers for my '72 Topps setbuild. Some more '72s. Unmarked vintage checklists are always a good buy for a quarter. 1973 Topps is another set I've completed, but grabbed a few cards hoping they might be upgrades. I remember team cards were often tricky to find in good shape when I was building my set, so added these 4 to my stack. 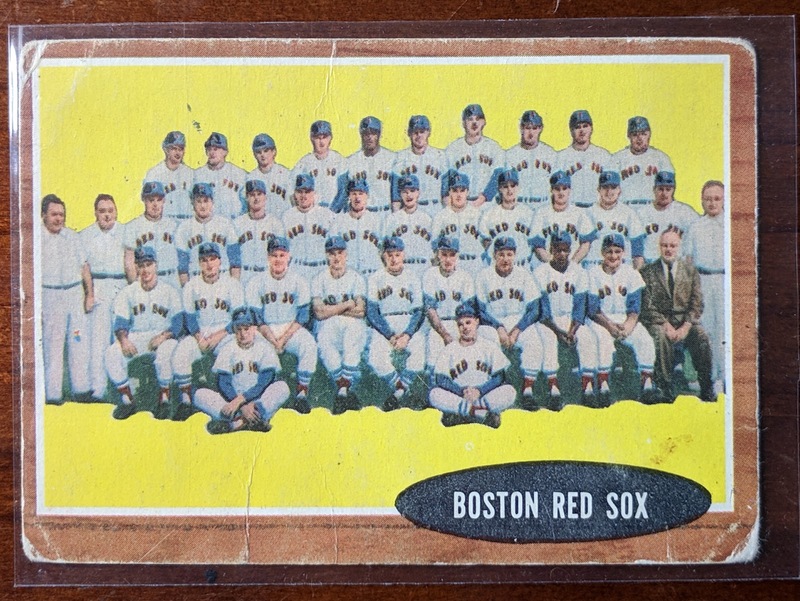 Turns out only the Red Sox needed to be upgraded, though. And 3 more I didn't need to upgrade, it turns out. 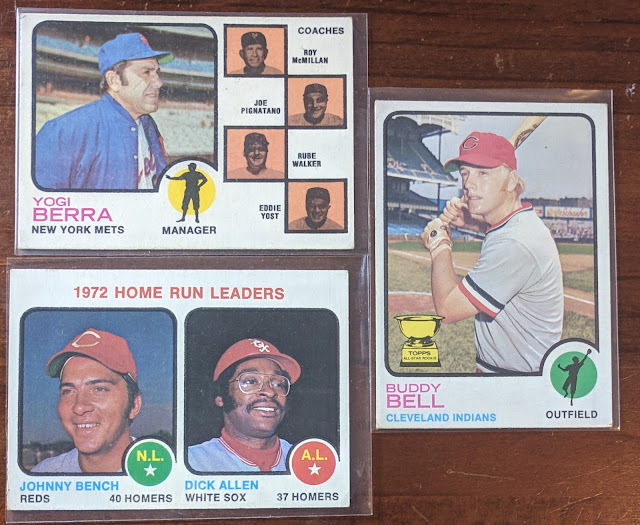 :( There are two Bench/Allen LL cards in the set: HR leaders and RBI leaders. I can never remember which one I need up upgrade. It's RBI leaders. Seems like I'm always coming across the HR leaders card but never RBI leaders.. so frustrating! 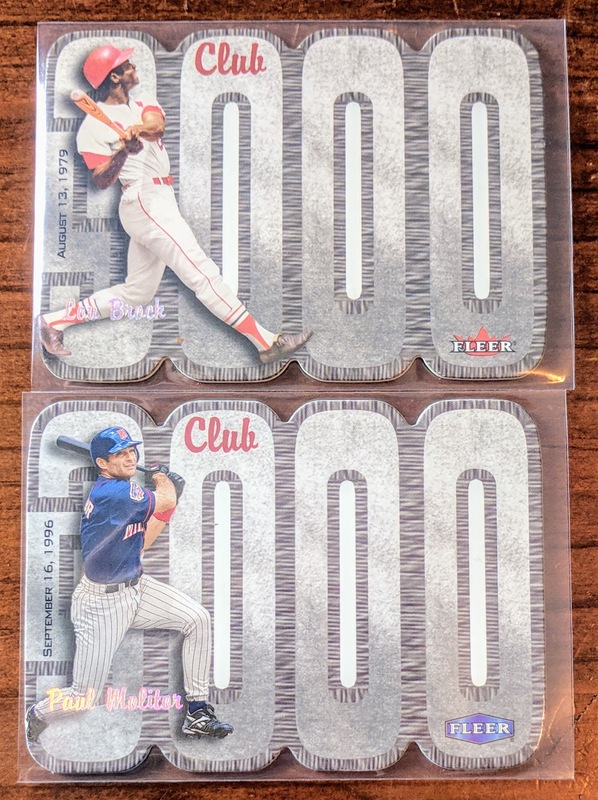 I've got like a page's worth of that damn HR leaders card at this point, yet still only one RBI leaders card and it has an ugly printing flaw on it. 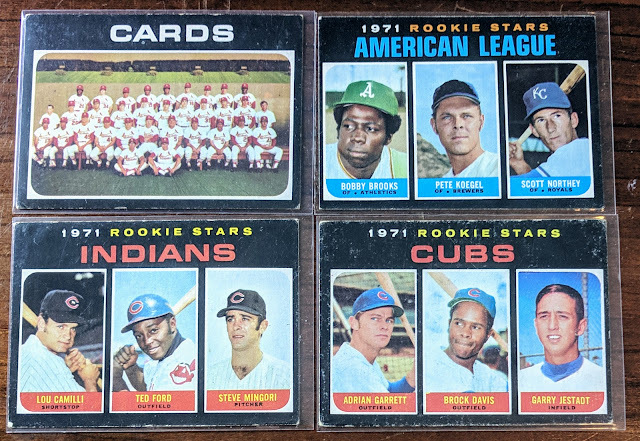 I didn't snag much from the mid 70s. Didn't need the '74 but might need it for the Brock PC. The Dodgers card was an upgrade. Gaylord has a crease, and it's OPC, so it'll go into the PC, not the setbuild. And these last few close out my 70s pickups. I already have the KC Killebrew (in both my set and PC of Killer), but no way I'm passing up that legendary short-term stop sunset card for a quarter. I'll check if it's an upgrade for either, but otherwise up for trade. That wraps up the vintage portion of my card show haul. 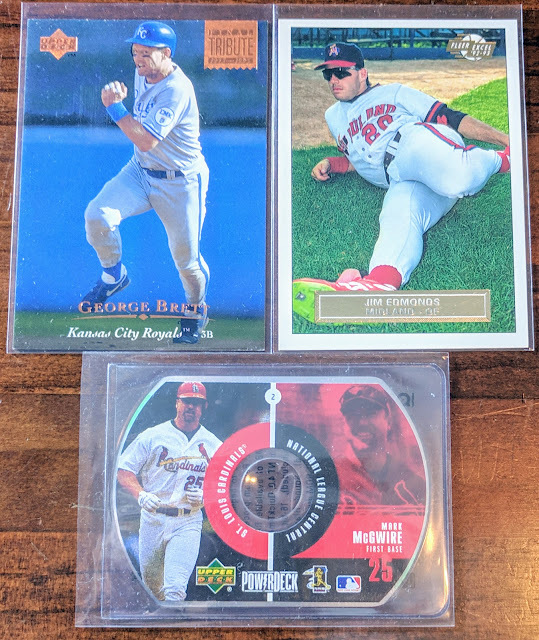 I'll likely get another post out soon with the modern cards I got, though digging through the cache of cheap vintage was easily the highlight of the show for me. 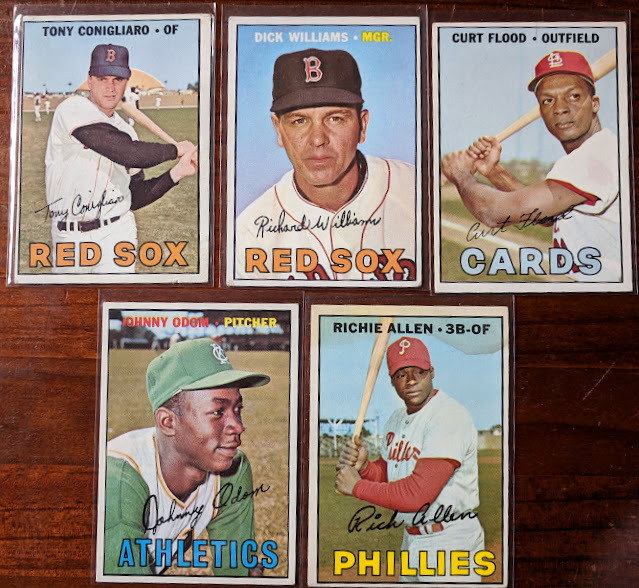 Time for another batch of cards I snapped up from a quarter box at the card show. Happy with this 1960 All-Star Rookie card of Jim Perry, who would win the Cy a decade later. 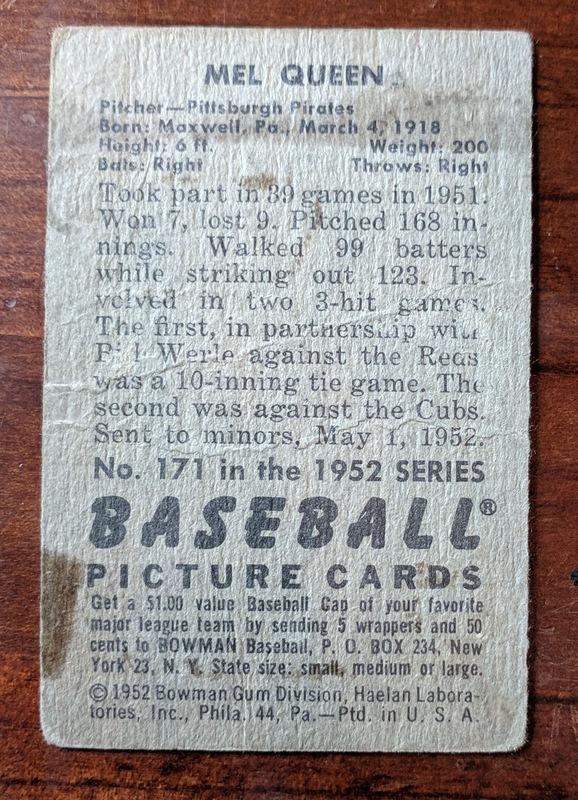 The card had some wax spots on the front, but it cleaned up real nice after a minute with the hair dryer. 1961 features a sweet trio.. HOFer Robin Roberts, rookie of future MVP Zoilo Versalles, and an LL highlighted by Warren Spahn. 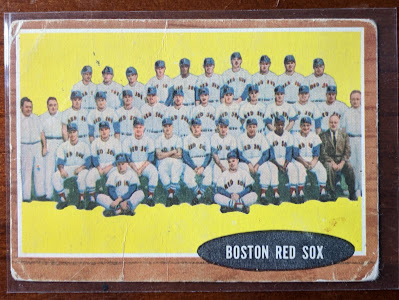 Just one 1962 card, the Red Sox team card. 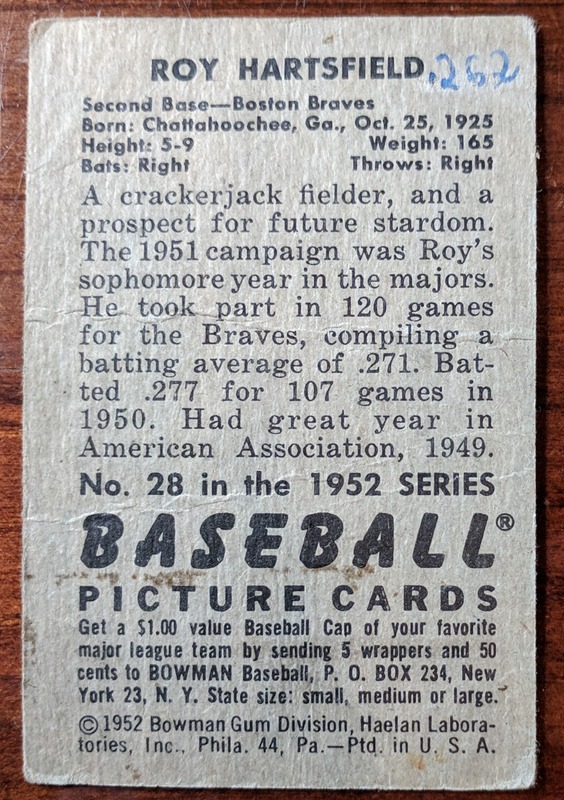 I'm over 72% complete with 1964 Topps now. 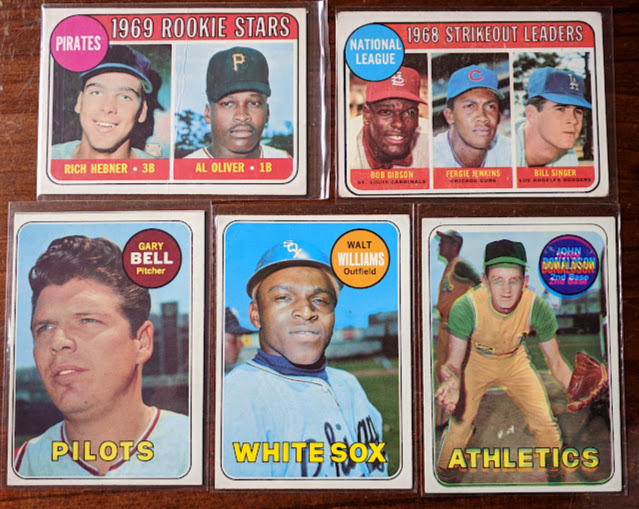 I pretty much ignored all 1965 Topps in the box since I've already completed it and didn't want to take the time to check for upgrades for me. 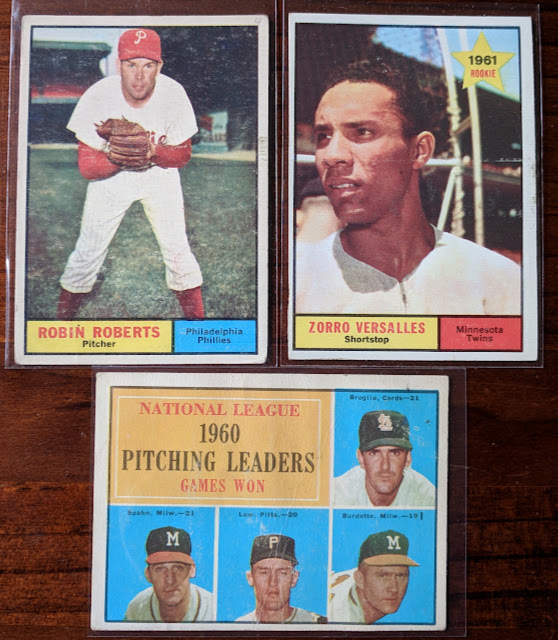 Nice trio of '66 Topps. I ended up with several '67 Topps cards. 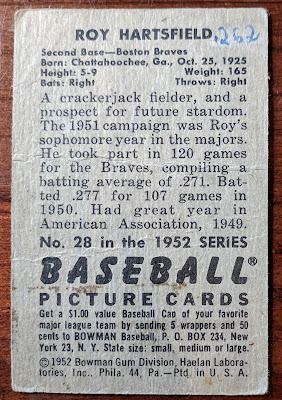 Vintage Willie Mays marked checklist card for a quarter! A couple big rookie trophies, too. 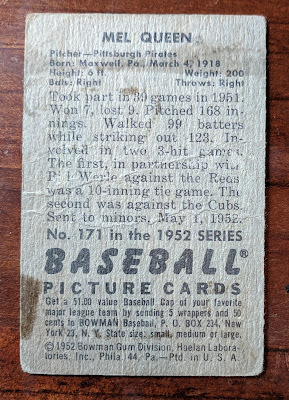 I first picked up a poor condition Bobby Murcer rookie, and later dug up a better condition one but forgot to take the worse one out of my stack. 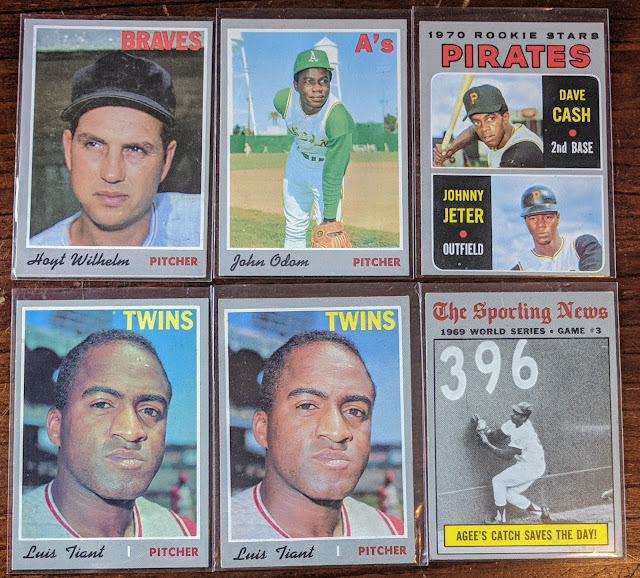 More '67s. 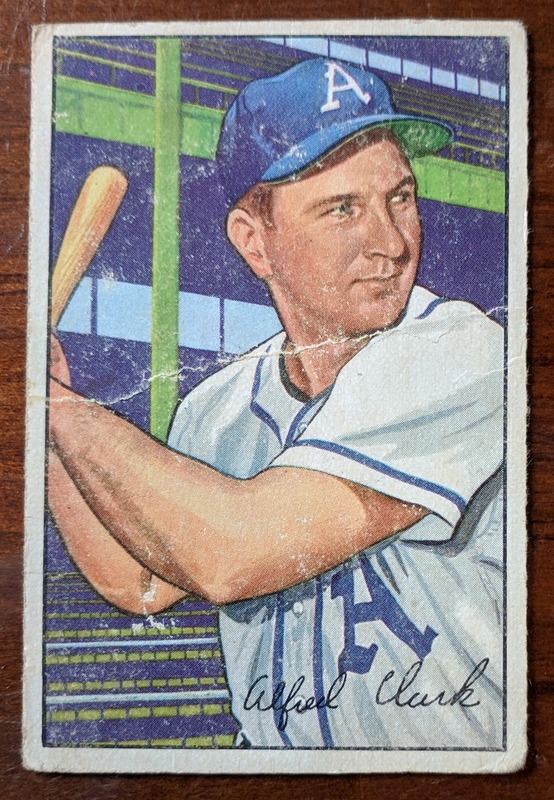 I already had that Richie Allen, and probably didn't need to grab this water-damaged one, but couldn't pass it up. 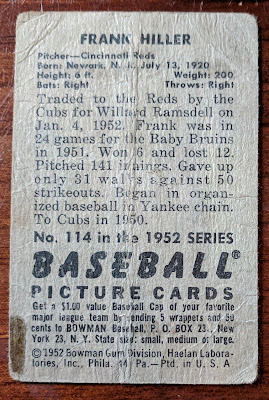 Some from 1968. 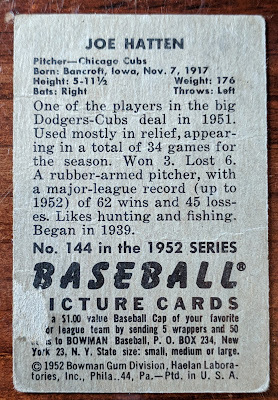 I put Ed in my stack because it was a somewhat high number (#552). Many of these pickups are intended as trade fodder, but some will find a place in my collection. 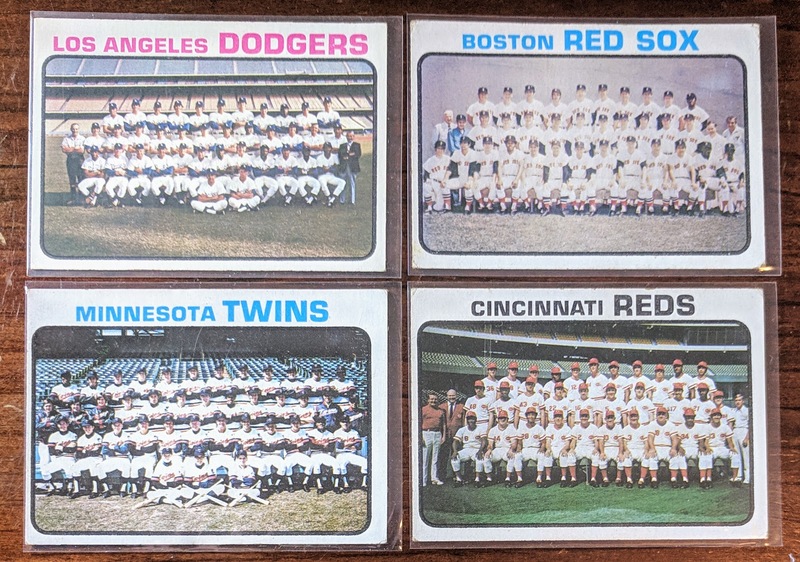 The only set I'm working on out of these is '64 Topps. 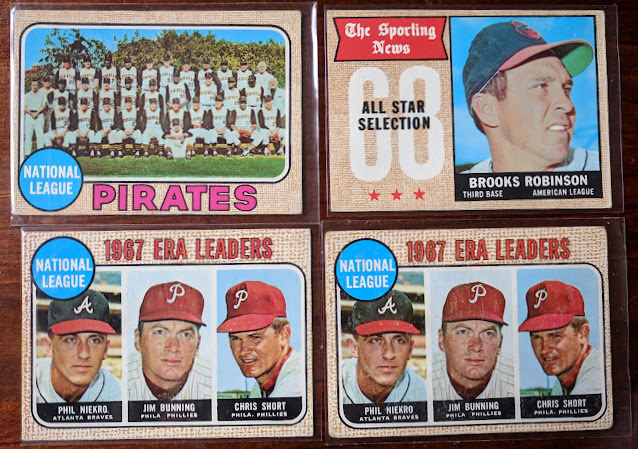 The '68 Brooks Robinson All-Star might have been the card I was most surprised to see in the quarter boxes.. it's in pretty good condition, too!-- for that price, I'd expect there to be a kid's name scribbled on the back, but no! Accidentally picked up 2 of the '67 ERA Leaders card, but not a bad one to have a dupe of. 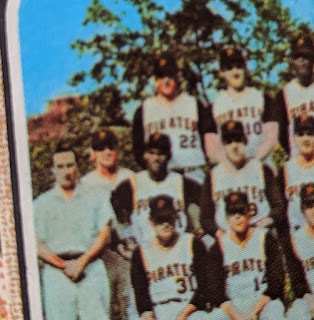 A cool thing about picking up Pirates team cards from the 60s is you're also getting a playing-days Clemente! 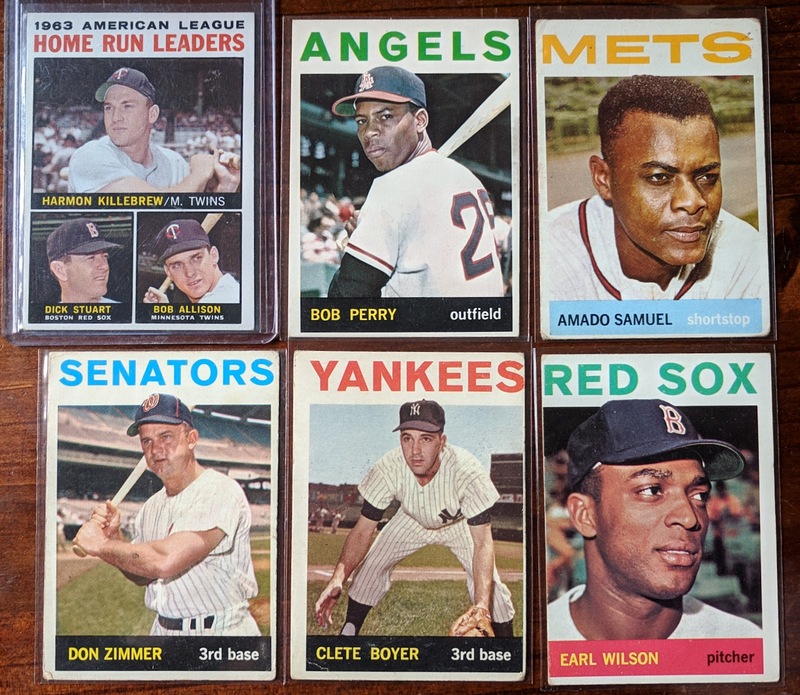 We close out the decade with five cards from 1969. Al Oliver rookie-- I already had one, but couldn't resist grabbing another, even if it's creased in the middle. 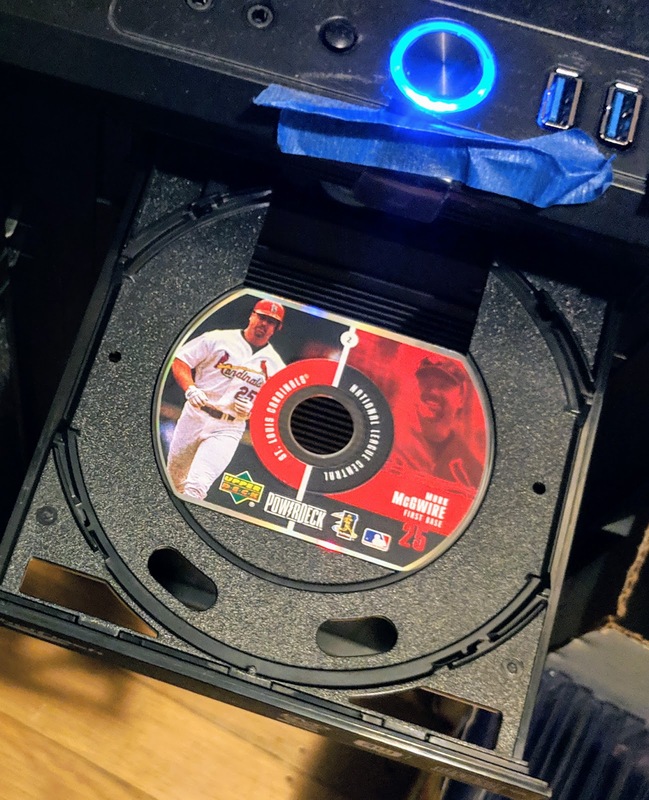 And I think I might already have the strikeout leaders card in both my Bob Gibson and Fergie Jenkins PCs, but I'm not going to pass up a third copy for a quarter. 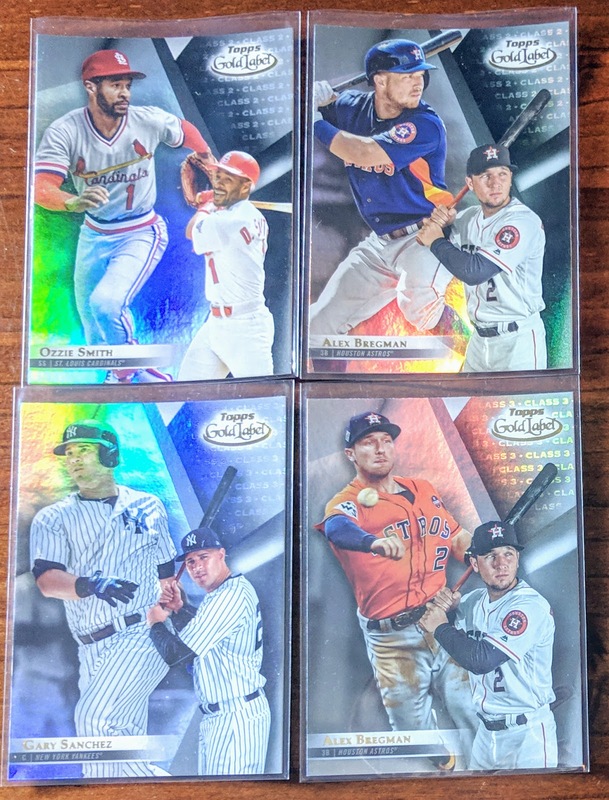 Pilots cards are always fun. I might have to start a PC for the great No Neck Williams. 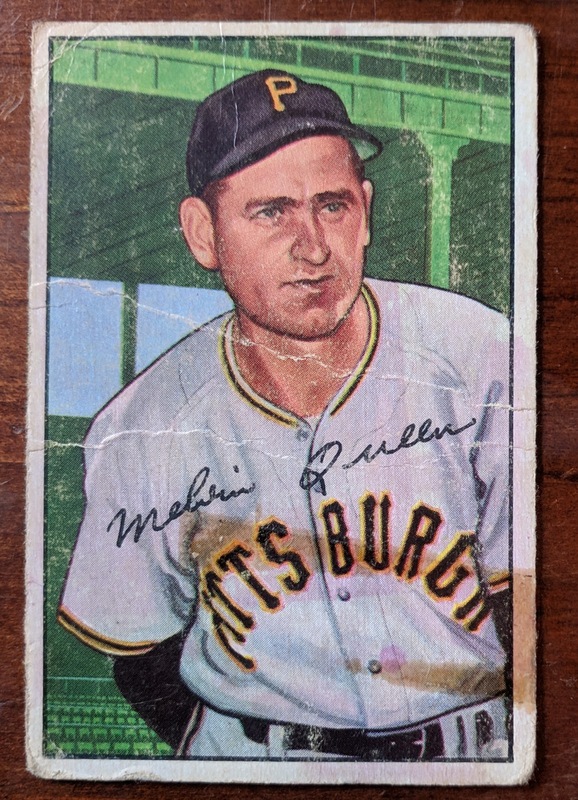 As for John Donaldson, I think this is one '69 Topps card that went to Woodstock. Whoa.. far out, man! 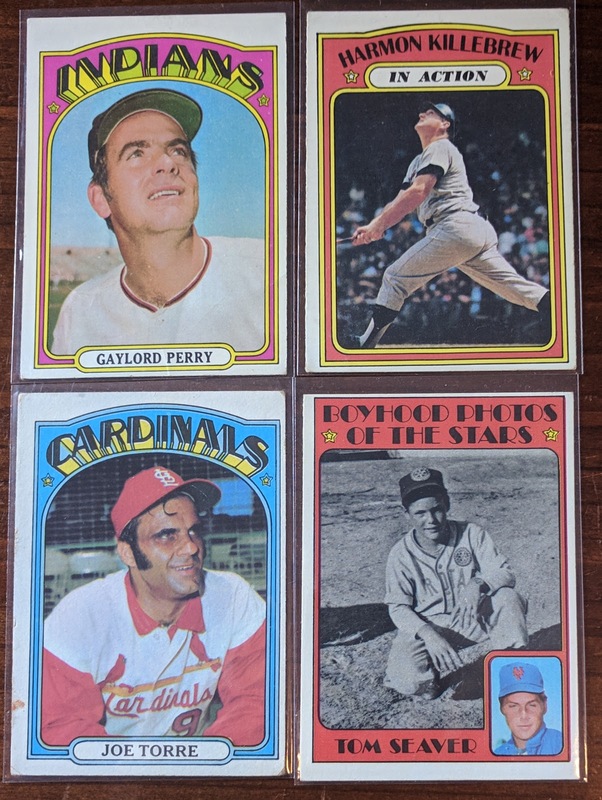 Vintage-heavy card show haul for me today. 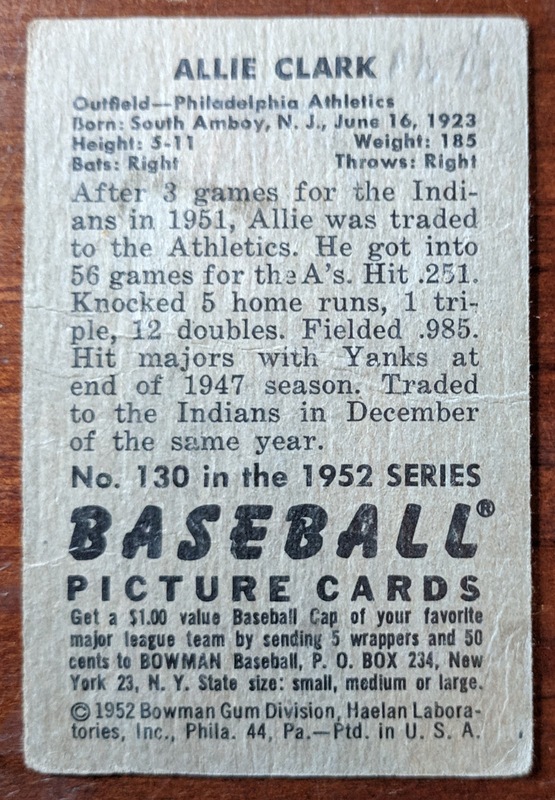 The biggest purchase was $37 worth of cards from Bill's quarterboxes, most of which was vintage. Turns out it was Bill's first Portland show of the year thanks to a car accident knocking him out of commision for a while. 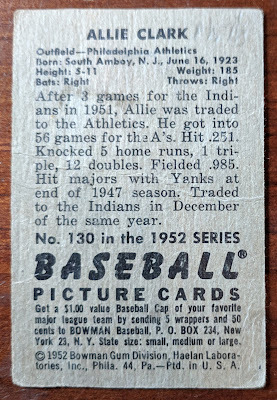 The oldest cards I picked up were 1952 Bowman. For 25¢, I'll happily snag any early Bowman regardless of condition, assuming a kid didn't draw a mustache on it (drawn-on mustaches are where I draw the line). Beautiful cards. 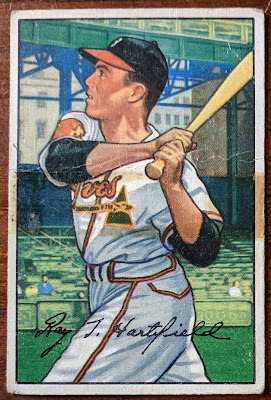 Roy Hartsfield was a crackerjack fielder, so I hear. Joe Hatten was a rubber-armed pitcher. Frank Hiller is probably the roughest condition card I picked up today. Allie Clark was mostly a backup player. 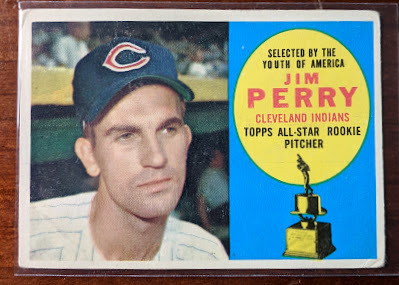 Won back-to-back championships with the Yankees (1947) and Indians (1948). 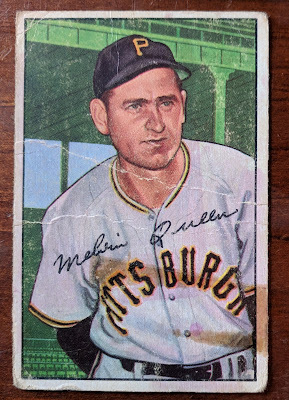 Mel Queen led the NL in Strikeouts per 9 IP in 1951. 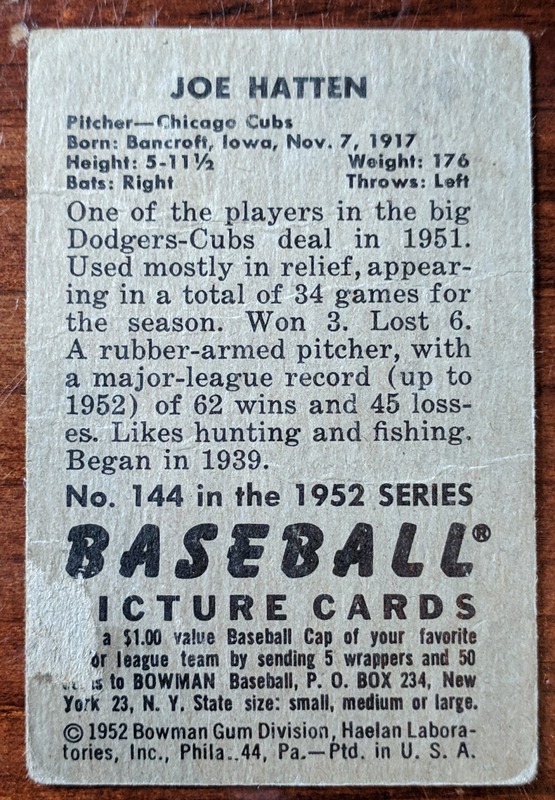 Also picked up a page's worth of 1959 Topps. Some solid names here. Not great condition (Minnie has a bad back), but for the price, works for me. 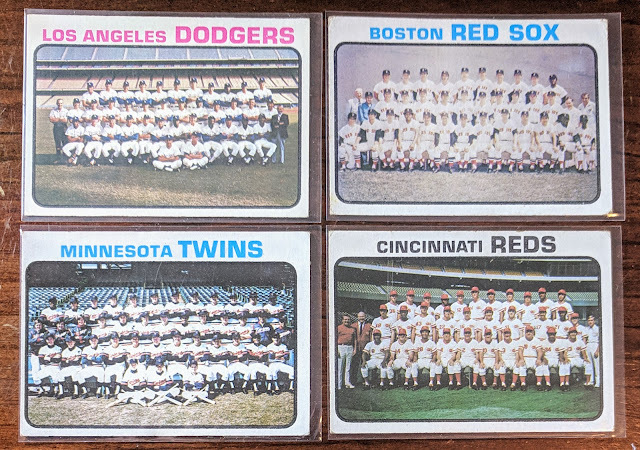 I'm still trying to talk myself out of trying to complete this set someday. That's all for today. I'll probably do separate posts recapping the 60s, 70s, and "other" cards from my April card show haul. Thanks for poppin' by.